Our custom hand -written collection - Made from YOUR loved one's real, recognizable handwriting! 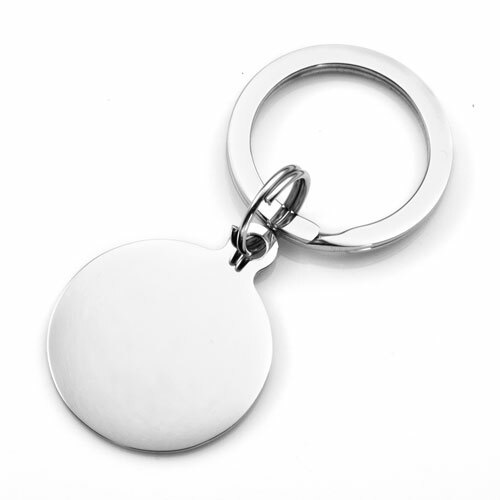 This round steel key chain has a quality weight and feel. 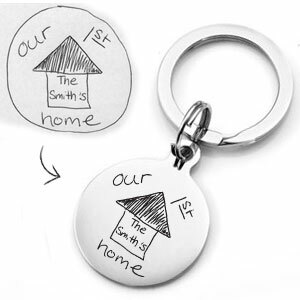 It has a high polished finish and can be engraved on back with a symbol, monogram or special message. The Hand Written message will be engraved on FRONT ONLY. Please specify in the special instructions box any specialized information. Use a sharpie when writing your message and photograph the hand- writing in as bright light as possible. Pay attention to the shape of the item being engraved (style accordingly)! MOST IMPORTANTLY please include your name and order number in your email to us. Please email all art, handwriting, or image files to logo@thoughtful-impressions.com.